Just what are ‘Admitted’ and ‘Non-Admitted’ Carriers? Confusion sometimes arises about the difference between "admitted" and "non-admitted" insurance carriers and about the consequences of the difference. The designation of an insurance company by a state’s Insurance Commissioner as “admit­ted” may seem to give the company a stamp of authority, but this designation is primarily an administrative one rather than a mark of quality or stability. Other factors should be more important in the choice of a carrier. What is an “Admitted” Insurance Company? - An admitted carrier is often referred to as a “standard market carri­er.” To qualify as an admitted carrier, an insurance company must file an application with each state’s insur­ance commissioner and be approved. Approval requires compliance with a state’s insurance requirements, including the filing and approval of that company’s forms and rates. This process often takes a long time. Once a carrier is licensed to transact insurance business in a certain state, the carrier is required to pay a portion of its income into the state's insurance guaranty association. One of the main selling points of being an admitted is that the carrier’s liabilities are backed by that state’s “guaranty fund.” If an admitted company becomes insolvent, the state will help pay off policyholders’ claims. What is a “Non-Admitted “Insurance Company? - A non-admitted carrier is often referred to as an “excess and surplus line carrier” and operates in a state without going through the approval process required for admitted companies. Non-admitted carriers are not bound by filed forms or rates and therefore have much greater flexibility to write and design policies to cover unique and specific risks, and to adjust premiums accordingly. When standard markets can’t or won’t write a risk, or when an admitted carrier cannot offer the appropriate terms, the non-admitted market is available to fill this gap. Insolvency - When an insurance commissioner determines that an insurance company is having significant financial difficulties, the insurance company will go through a process called “rehabilitation.” The state’s insurance commissioner will make every attempt to help the struggling company regain its financial footing. If the company cannot be rehabilitated, the company is declared insolvent, and the court will order liquidation. Liquidation of an Admitted Carrier - If the carrier to be liquidated is an admitted company, the processing/pay­ment of existing and future claims is taken over by that state’s guaranty fund. However, the guaranty fund’s obliga­tions are limited by regulations and will only pay claims up to that state’s cap. In some cases, if insureds exceed a certain revenue threshold they may not quality for any guaranty fund coverage. Liquidation of a Non-admitted Carrier - If a non-admitted insurance company goes “belly up,” the liquidator/receiver collects the assets of the company, determines all the liabilities/creditors outstanding, develops a plan to distribute the company’s assets and submits the plan to the court for approval (much like a typical bankruptcy pro­ceeding). 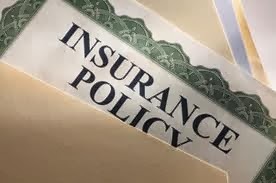 In most cases, the insurance company’s estate will not yield sufficient money to pay the company’s cred­itors (including their policyholders' claims) in full. Policyholders often have to fund defense and settlement payments themselves before they can request reimbursement from the estate. Usually, the policyholder will have to wait patiently and will, again, only get pennies on the dollar. Bottom Line - The choice between admitted and non-admitted insurance companies is something that needs to be considered, but examining the financial strength of the individual providers, the breadth of coverage and competitiveness of terms is more important. The priority should always be to seek a high-quality provider, regardless of whether the company is admitted or non-admitted. Tubing can be a dangerous water sport that leads to accidents on the water, the Florida Fish and Wildlife Conservation Commission said Tuesday in a message to boaters to be safe while towing passengers on the inflatable tubes. The popular boating item – known as inner tubes, towables or inflatable tubes – has led to several recent accidents across the state, the commission said in a statement, adding that passengers on tubes have crashed into docks, channel markers or even other boats. Last year, five people were injured and two were killed in these types of accidents. Boaters can take safety precautions to keep those tubing safe. “When you are operating a boat that is towing passengers on a tube or something similar, their fate is in your hands,” said Maj. Richard Moore, head of the commission’s Boating and Waterways Section. Although there isn’t a required specific distance to keep away from fixed objects or other boats, the commission said operators should avoid pulling the tuber close enough to anything it can crash into. One good rule of thumb is: “Twice the line should be fine,” or keep the boat at least two lengths of the towline away from all objects. Tubers should also wear a life jacket, but not the inflatable kinds. Another tip is for there to be a “spotter” on the boat, or another person besides the driver to monitor the tuber and alert the driver of any issues. Do you know Flood Insurance? There are a lot of new changes coming to Flood Insurance effective Oct 1, 2013. There is one change that's already on your policy that you may not even have noticed. Increased Cost of Compliance (ICC) coverage. If your property was damaged by a flood, you may be required to meet certain building requirements in your community to reduce future flood damage before you repair or rebuild your damaged property. To help you cover the costs of meeting those requirements, the National Flood Insurance Program (NFIP) includes Increased Cost of Compliance (ICC) coverage for all new and renewed Standard Flood Insurance Policies. How much coverage is available? Flood insurance policyholders in special flood hazard areas can get up to $30,000 to help pay the costs to bring their home or business into compliance with their community's floodplain ordinance. Unfortunately, $30,000 is often not enough, but it is a start. First, if your community determines that your home or business is damaged by flood to the point that repairs will cost 50 percent or more of the building's pre-damage market value, you are eligible. In the flood claim world, this is referred to as substantial damage. Your local ordinance will provide you a substantial damage letter that you will need to provide to your flood carrier. One is also eligible for ICC coverage if your community has a repetitive loss provision in its floodplain management ordinance and determines that your home or business was damaged by a flood two times in the past 10 years, where the cost of repairing the flood damage, on the average, equaled or exceeded 25 percent of its market value at the time of each flood. This is called repetitive damage. Additionally, there must have been flood insurance claim payments for each of the two flood losses. Again, you must provide supportive documentation reflecting your eligibility. It is important to file all flood claims properly and include all necessary supporting documentation. FEMA provides a specific ICC Proof of Loss form that needs to be filed that is different from FEMA’s standard Proof of Loss. 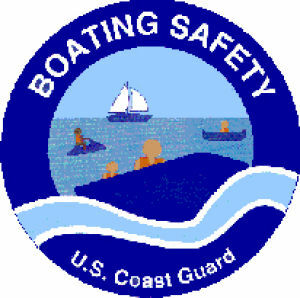 • Three-quarters of all boating fatalities are due to drowning, and eighty-eight percent of those victims were not wearing a life jacket. • Ninety percent of the time, when there is a loss of life on the water, the operator had little to no boat safety training. • The top accident causes are operator inattention, improper lookout, operator inexperience, excessive speed, and alcohol. As insurance professionals, we have a duty to not just advise our boating customers as to the best mix of physical damage and liability coverage for their boat, but to also strongly encourage any new boater to take the time to be trained as a safe boater. The National Association of State Boating Law Administrators publishes this list of boating education courses. We suggest you include in your boat renewal notices, or any new policy quote, the contact information for programs in your area. A majority of fitness center owners are underinsured and exposed to hidden risks that could ruin their business. 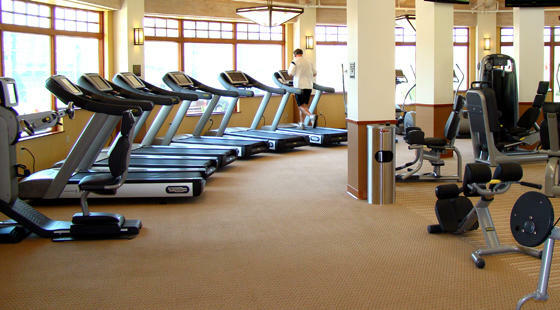 Even the best run fitness centers are vulnerable, because of the nature of their business. Fittness centers exist to help people stay healthy, but ironically they also expose members to potential injury. Personal trainers add to liability exposure, and member data can make the business a target for cyber theft. 1. Disaster-related losses – A lawsuit or a natural disaster can put a fitness center out of business, unless they have the right insurance coverage. Most businesses do not. Studies show that 60 percent of businesses are underinsured. It’s no coincidence that the same percentage of businesses never reopen after a disaster. A business continuity plan is essential to ensure a business can withstand even the most cataclysmic event. Disasters strike without warning, so it’s important to be prepared before a disaster takes place. 2. Injuries on treadmills – Treadmills are the number one injury risk in fitness centers. The average cost for a treadmill-related accident is $250,000. Members who use them typically do other things at the same time; such as texting, talking, reading, or watching television. Make certain all members are properly trained to use the equipment and that the training is documented. Monitor treadmill use regularly and take action when risky behavior takes place. Whenever an incident involving equipment takes place, investigate it immediately, document it, and take corrective action. 3. Breach of member data – Nearly half of all companies have experienced a data breach, yet only one business in 10 has cyber liability coverage. Cyber liability risk is especially high at fitness centers, because they typically have a large amount of personal and financial data on file. Require passwords and set systems to log out after 15 minutes of inactivity. Use data encryption software to encrypt member data, and keep anti-virus and anti-malware protection up-to-date. Employees should be trained to understand the importance of information security. 4. Liability from personal trainers and members – Personal trainers have been involved in liability suits for issues such as sexual harassment, and physical injuries. A trainer was even found responsible for a member’s death because of inappropriate dietary advice. When trainers are sued, so are the clubs they work at, as owners can be held liable for their trainers’ behavior. Contracted fitness instructors are not automatically covered under the owner’s liability policy, Owners should ensure that their insurance policy automatically includes “additional insureds,” such as instructors, trainers and members. 5. Losses from emergencies – Explosions, acts of violence, shootings, sexual abuse and outbreaks of diseases have taken place at fitness centers. Such incidents can have a major financial impact and damage the reputation of the business. Emergency event management insurance typically covers loss of business income, public relations expenses to restore your reputation, and expenses such as medical care, counseling and funeral expenses. Steps should also be taken to ensure that the fitness center is as safe as possible, such as installing surveillance cameras and making certain the parking lot is well lit. 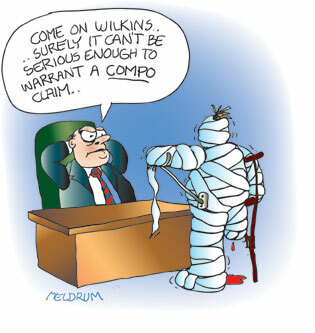 Where do you, as an employer, fit into the workers’ compensation process? Whether you’re new to the world of workers’ comp or are very familiar with it, knowing exactly who does what can help tremendously when you have a claim and when you’re looking for ways to prevent workplace injuries. We are committed to helping you make the most of your workers’ comp policy—but we need you, too. Here’s what you can do. Take action to prevent injuries. Safety comes in a variety of forms, depending on your industry. Reach out to your Summit loss control representative for assistance in implementing a workplace safety program. Implement a drug-free workplace program. Every business owner should know that drugs in the workplace don’t bode well for workers’ comp or any other aspect of your company. Check out page 3 for more information. in charge of it. Remember that the goal is to get the injured employee back on the job when possible. Report injuries the day they happen. Late reporting can have a profound, and negative, impact on a claim. Investigate accidents internally. Take witness statements, evaluate the cause of the accident and save any evidence. Keep communication lines open. Claim success often depends on successful communication. The better, and more often, you communicate with us and your injured worker, the more likely the claim will have a positive resolution. While you do your part, there’s one person who usually has the most influence on the outcome of a claim—the injured worker. Here is a short but vital list to share with your injured workers to help them reach successful recovery. Participate in physical therapy. Yes, it can be hard, even painful. But if the doctor has prescribed physical therapy, then the injured worker needs it, and recovery won’t happen without it. Accept a modified or transitional duty job offer. Sitting at home may seem like the best road to healing, but in reality it often slows recovery and breeds depression. Follow medical restrictions at work and at home. Remind your injured employee that physical restrictions, such as weight-lifting limits, don’t clock out at the end of the day. Reinjury is just as likely at home. Communicate. Fears, frustrations and misunderstandings never improve a workers’ comp claim. Most are easily addressed if they are shared. Encourage your injured employee to speak up to all parties involved in his or her claim—you, the doctor and the Work Comp adjustor. When we all pitch in and do our part, the workers’ comp system really does what it was designed to do—get injured workers recovered and back to work. Let’s make it happen—together.